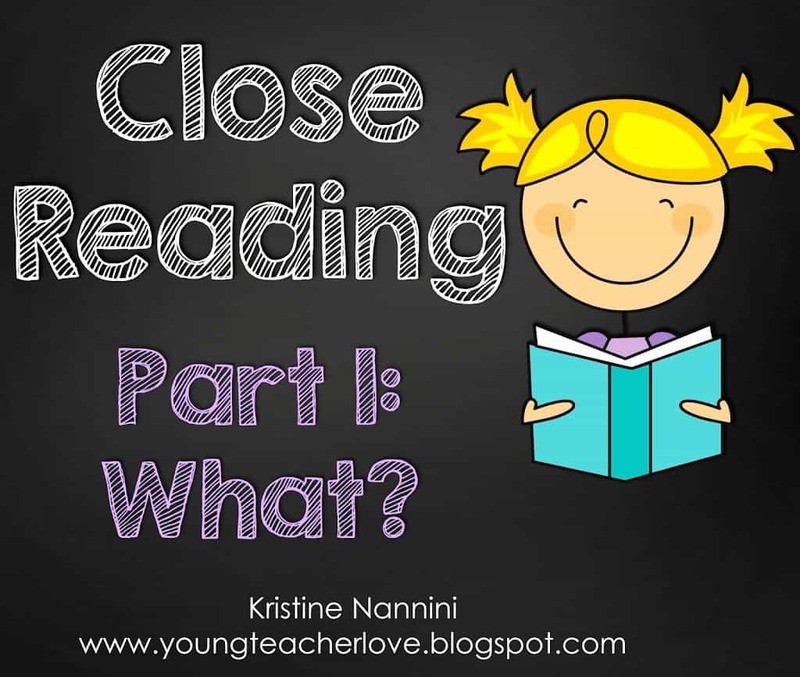 I’m back for my next installment on close reading! I am so excited to FINALLY share what I have been working so hard on. 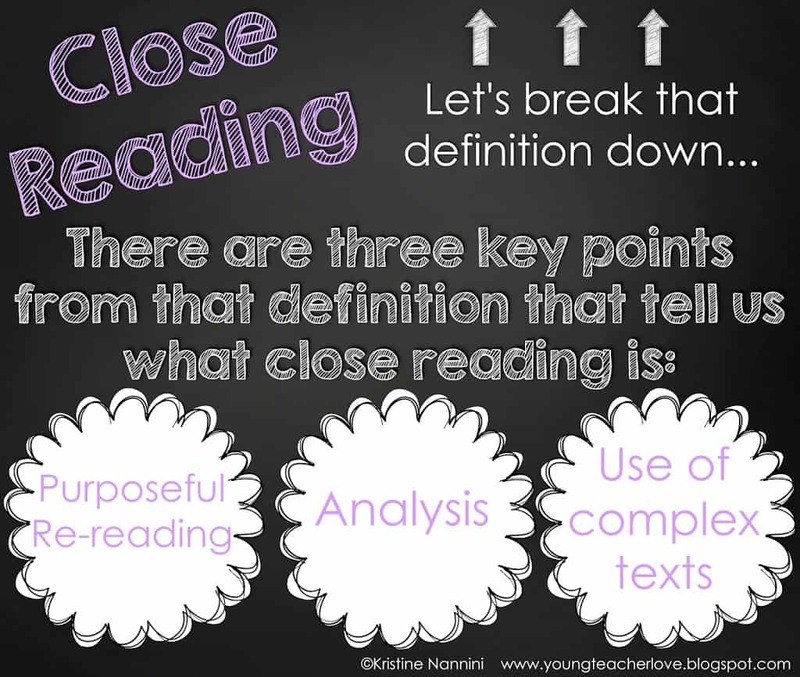 A few weeks back, I asked my Facebook followers to rate their understanding and knowledge of close reading. 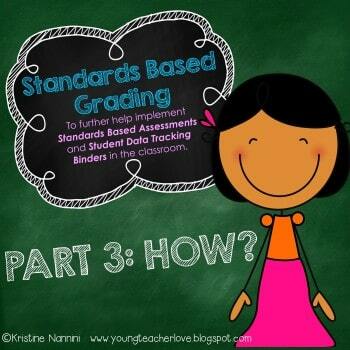 I was shocked to learn that so many teachers didn’t really know much about it (me being one of them). 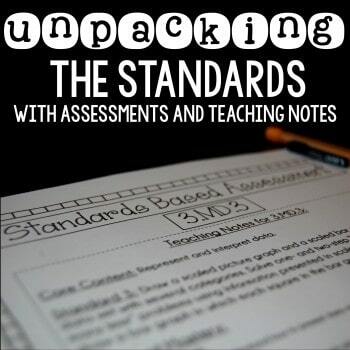 How can we be required to implement things in our classroom if we don’t have the proper training and knowledge? 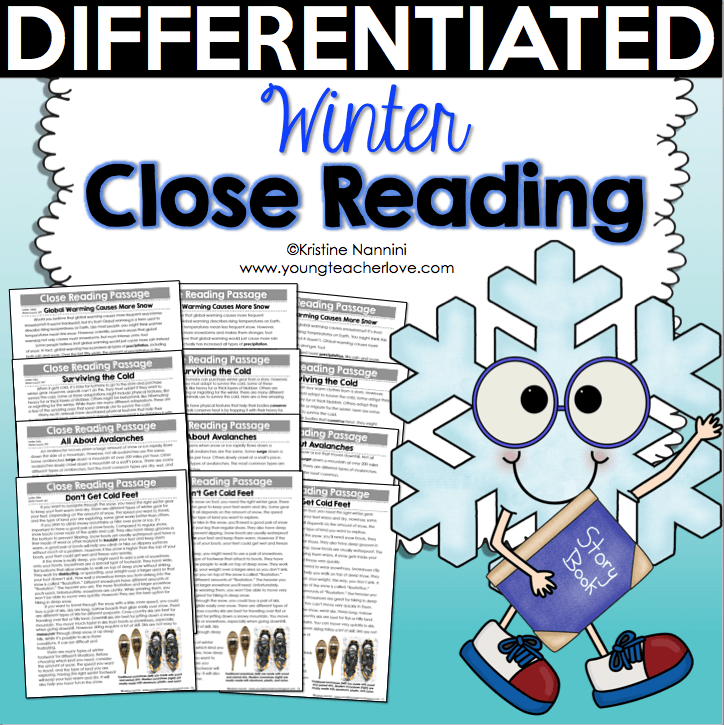 So, I decided to roll up my sleeves and sort through all of this information and research to help you all better understand close reading. 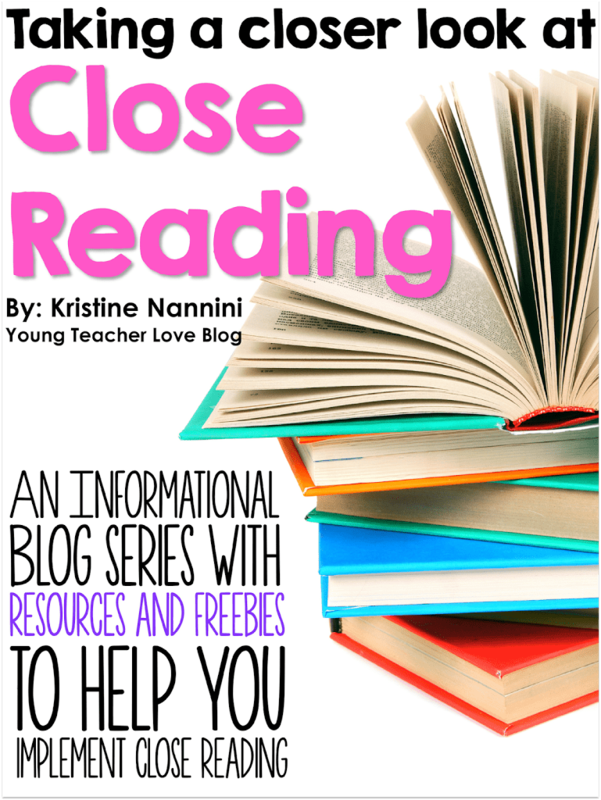 I will be providing you with an informational blog series on the WHAT and HOW of close reading. 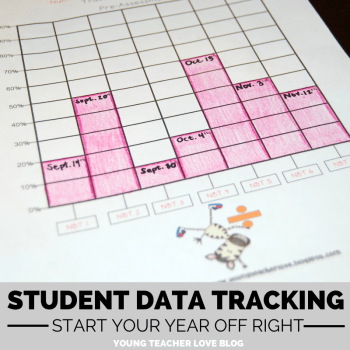 Like my last informational blog series, I will be blogging about this topic over the course of a few posts. At the very end, I will compile all of the slides into a free PDF for you. 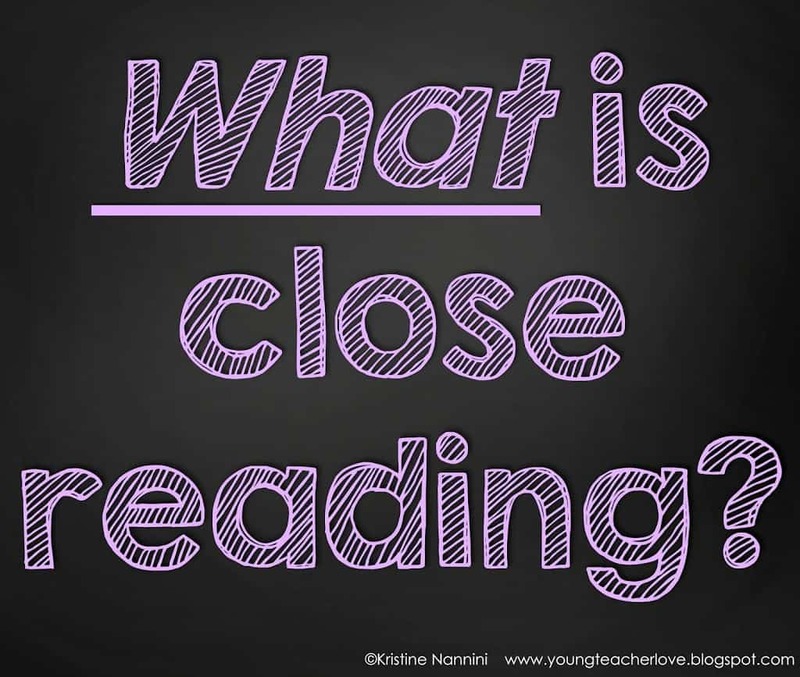 The first part of this blog series is understanding WHAT close reading is. 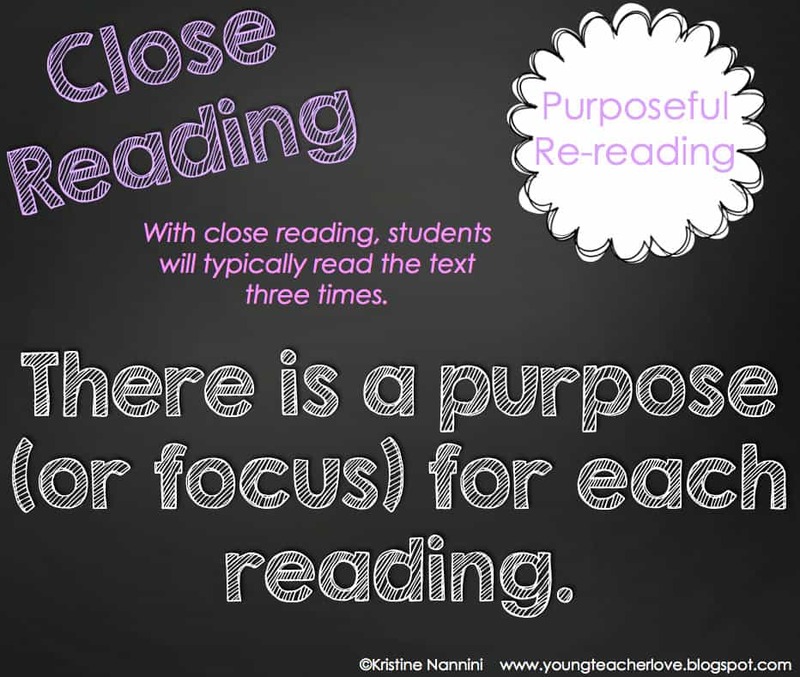 In an effort to avoid information overload, this blog post will focus on Purposeful re-reading and Analysis. I will address the Use of complex texts in my next post. 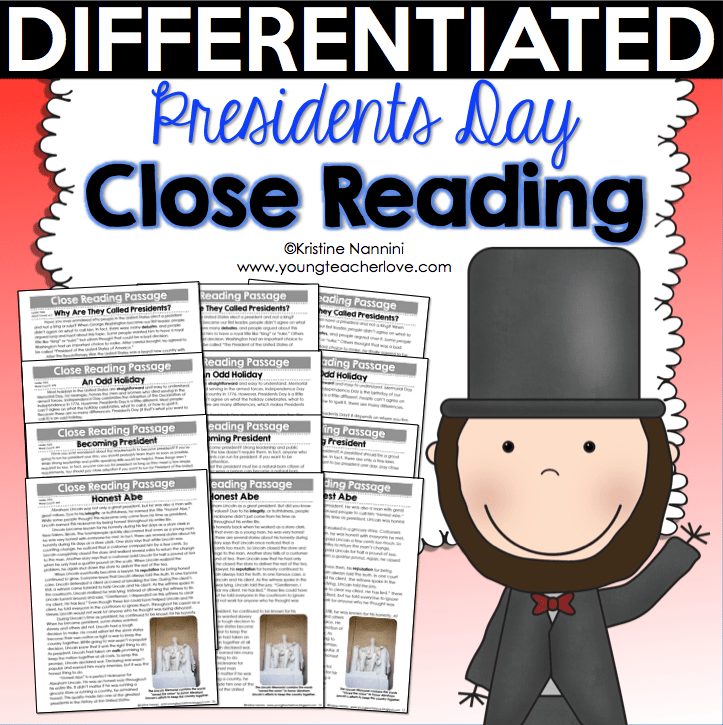 The document above is include in each one of my close reading packs, but I typically make this into an anchor chart for students to reference. 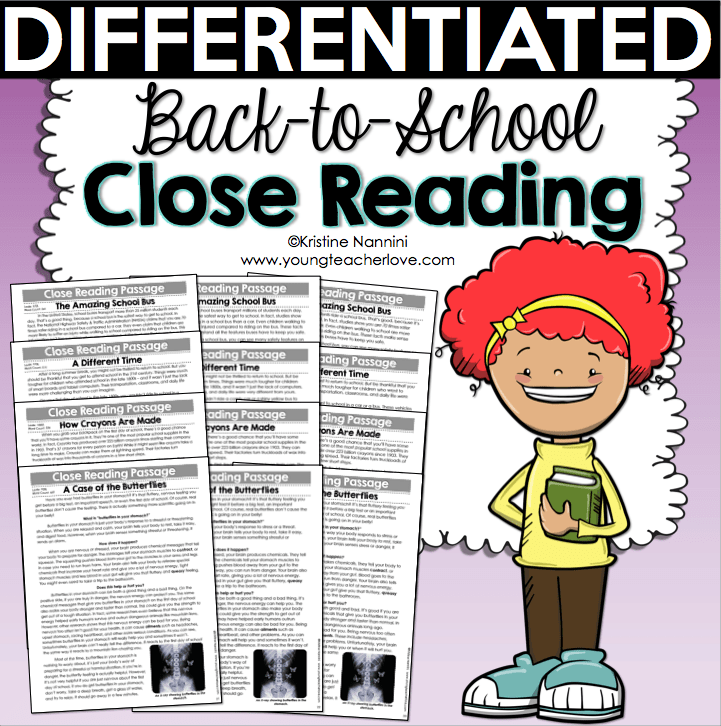 Not only does it help me stay organized, but it also helps students understand the purpose of each read in connection with the standards. 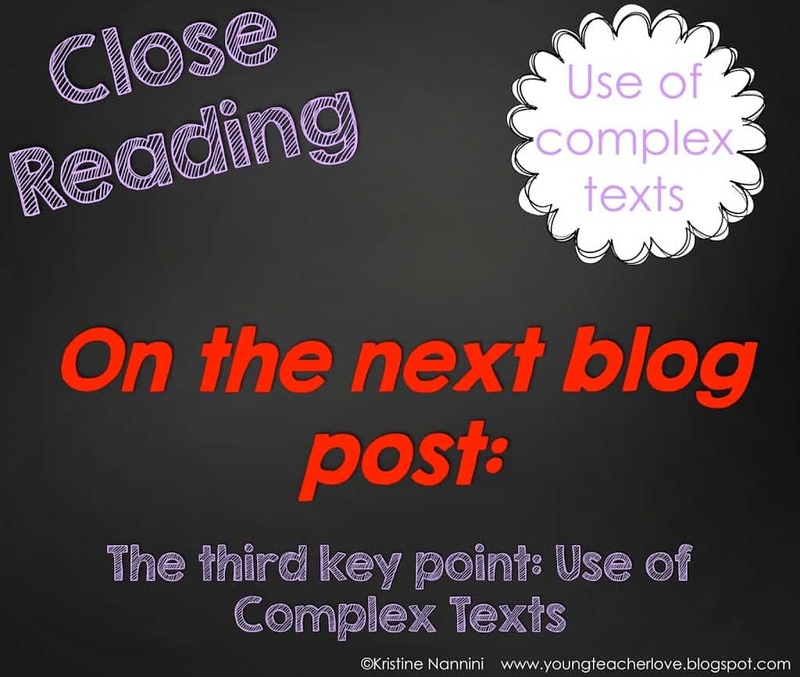 Stay tuned to the last part of WHAT is close reading: use of complex text. I agree! 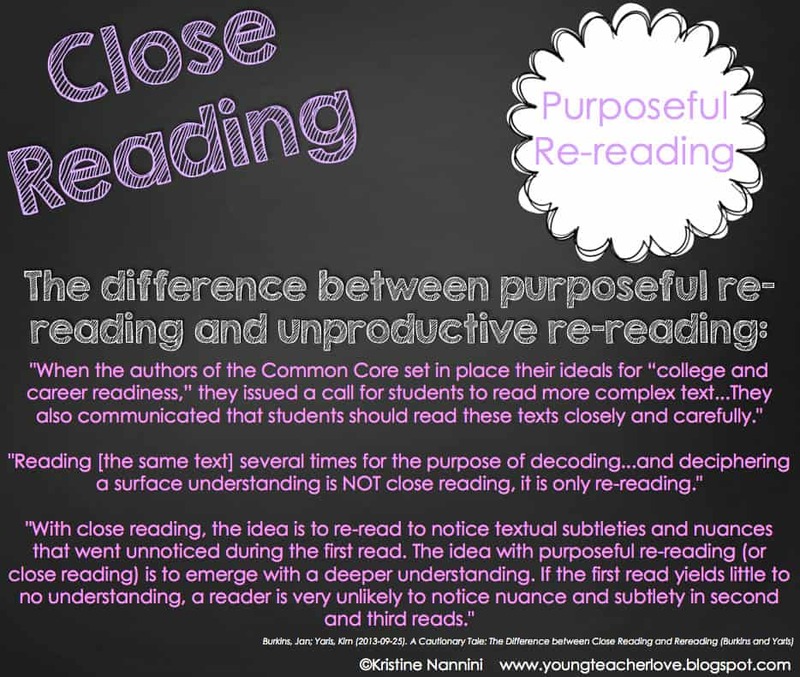 Many teacher prep courses and ongoing staff development opportunities do not offer workshops/coursework which includes Close Reading! Thanks for sharing! Smiles and stop by anytime! Thank-you!!! I’ve been trying to do some research as well and have often wound up confused. 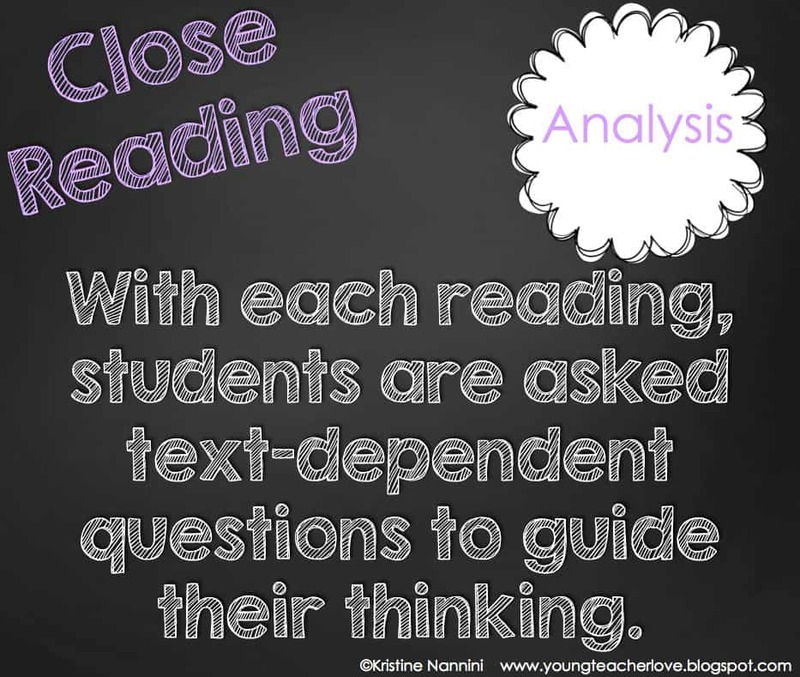 I teach the highest reading group and I want to teach these kiddos WHY we do close reading as well as HOW. They are used to skimming through a text and slapping down some words in hopes their answer is correct. Um…no. Thanks for your help!! Thank you both very much! I am so glad to hear that it is helping you in some small way. I also got very overwhelmed in the beginning. There really is so much information out there! 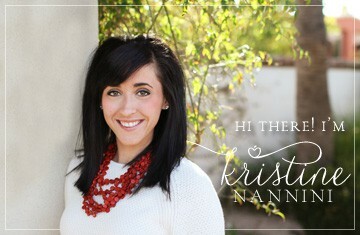 This blog post was absolutely wonderful!! 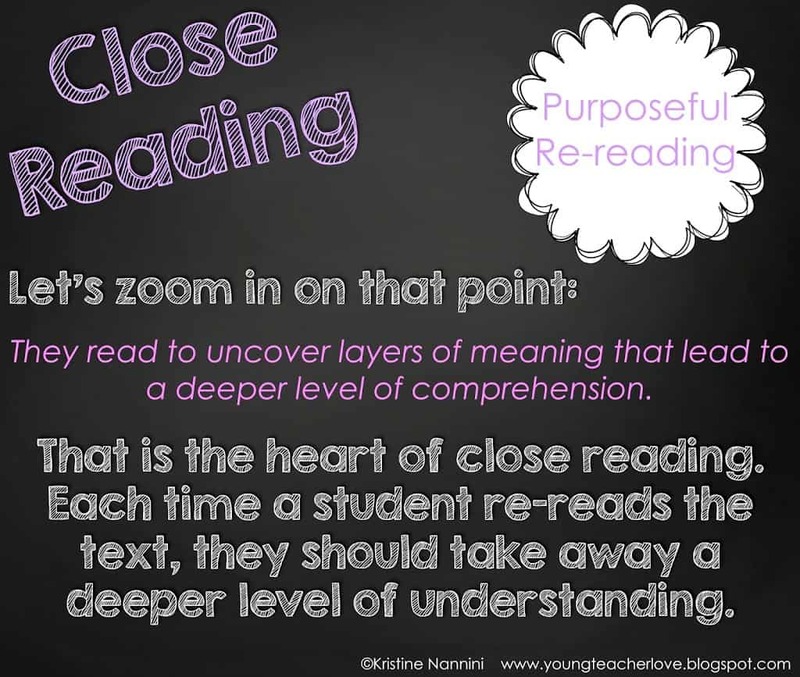 The term “close reading” is thrown around an awful lot, but I honestly never fully understood what it meant. 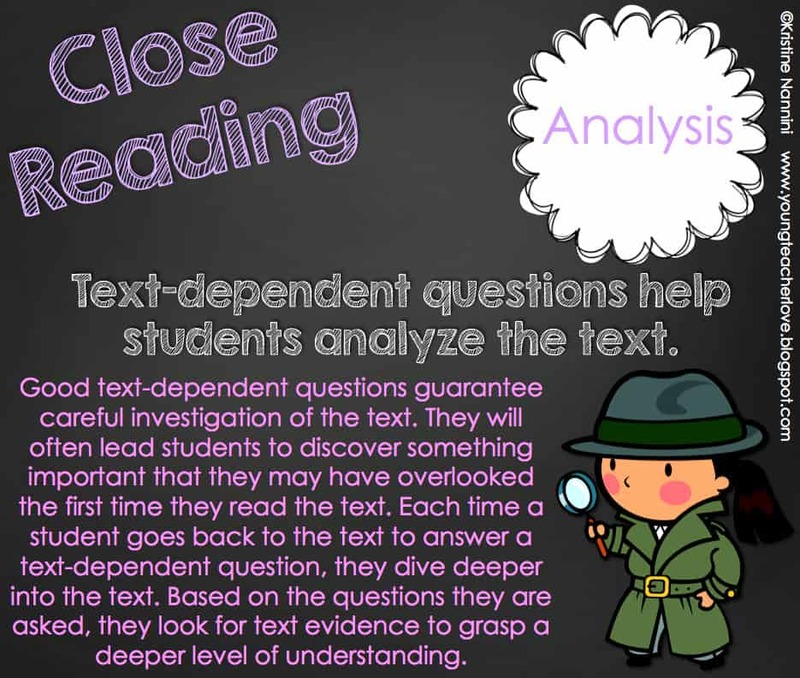 Now, I feel as though I have a clear understanding of the results I should achieve from close reading, and could implement this in my classroom as early as tomorrow! Thank you so much for taking the time to share this vital information! Great post! 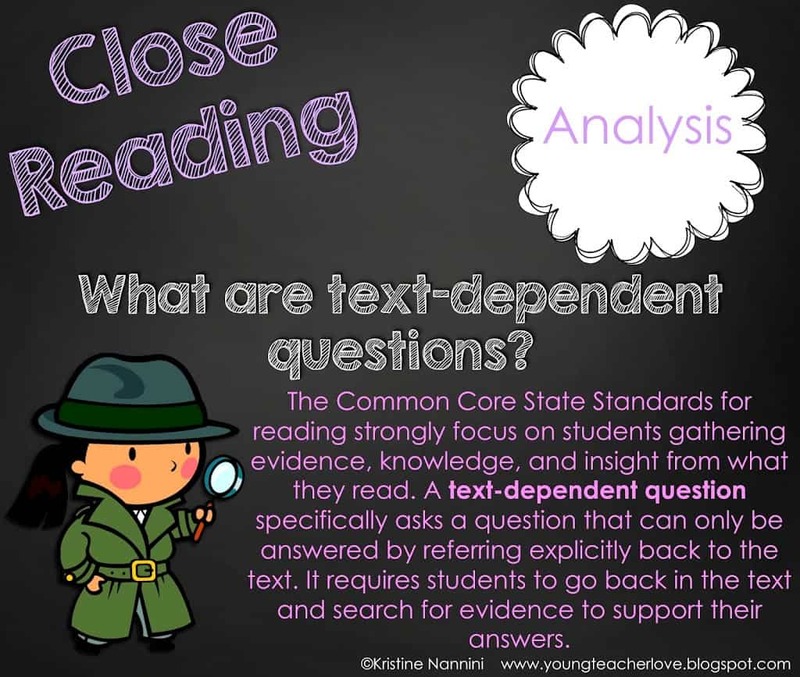 I’m a TOA and train teachers in my district in close reading, as well as teaching them the architecture of the standards. 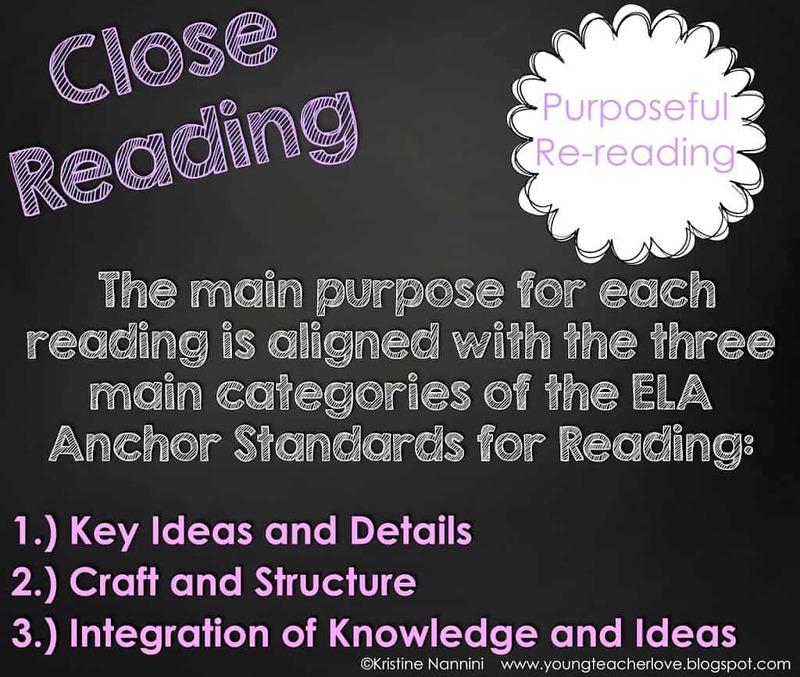 Once they realize the three reads align with the 10 anchor standards, the fog goes away and they get it! 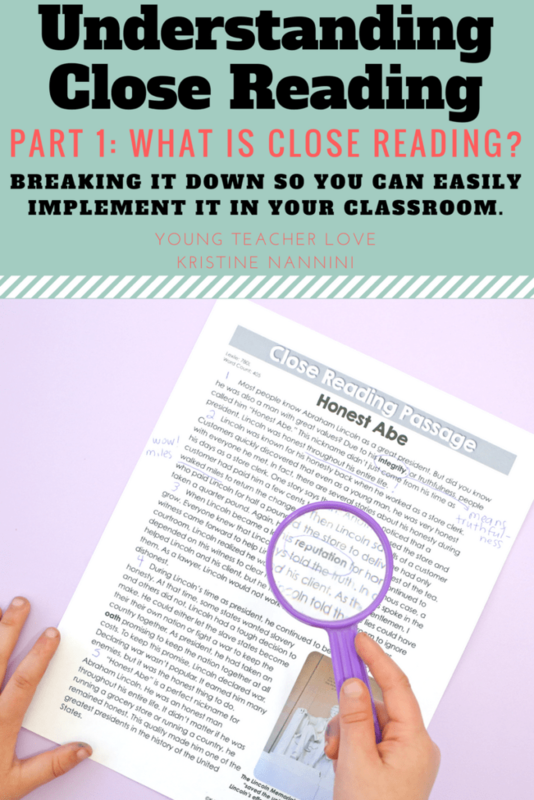 I also love the book Falling in Love with Close Reading for using in middle and high school. @Chelsea and @Stephanie- Thank you so much for your comments and kind words! 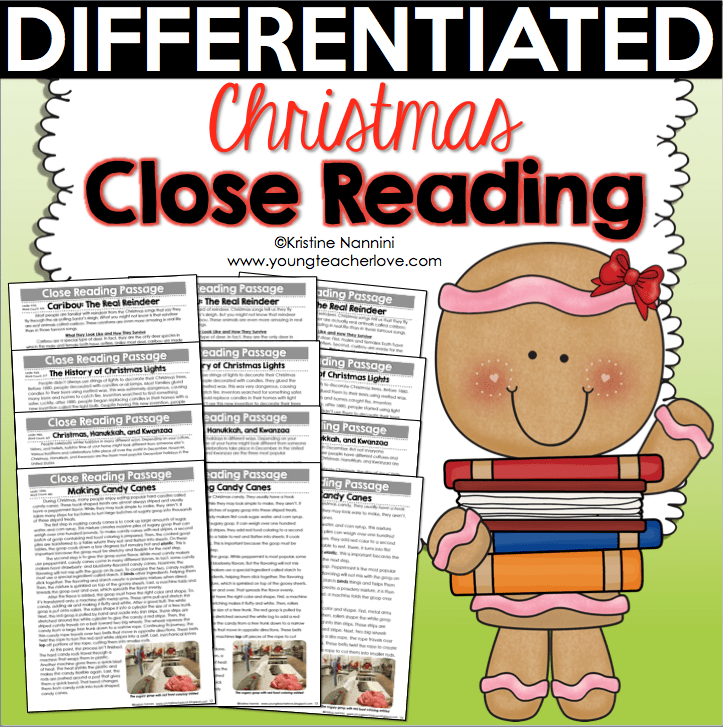 I appreciate your readership very much! 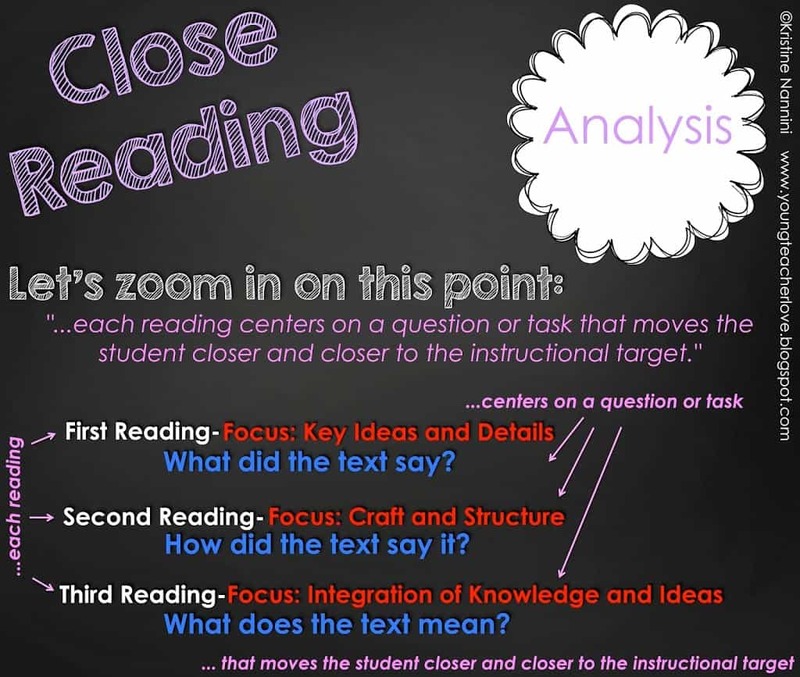 How can I get a copy of the slides for close reading. They are great. 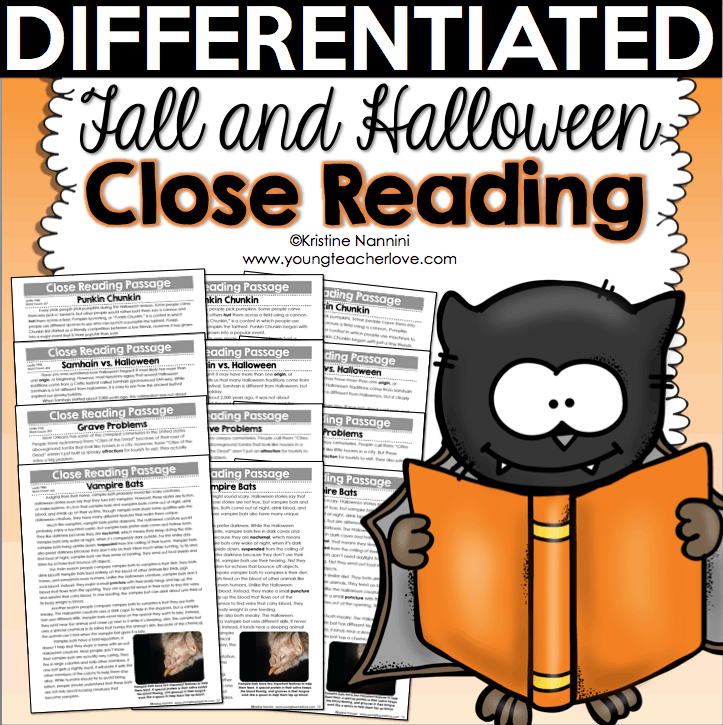 Hi Kim- I am currently working on one more Close Reading resource. Once I finish it, I will create a PDF version of these slides for free on my blog. Make sure you check back! Thanks for really breaking it down! 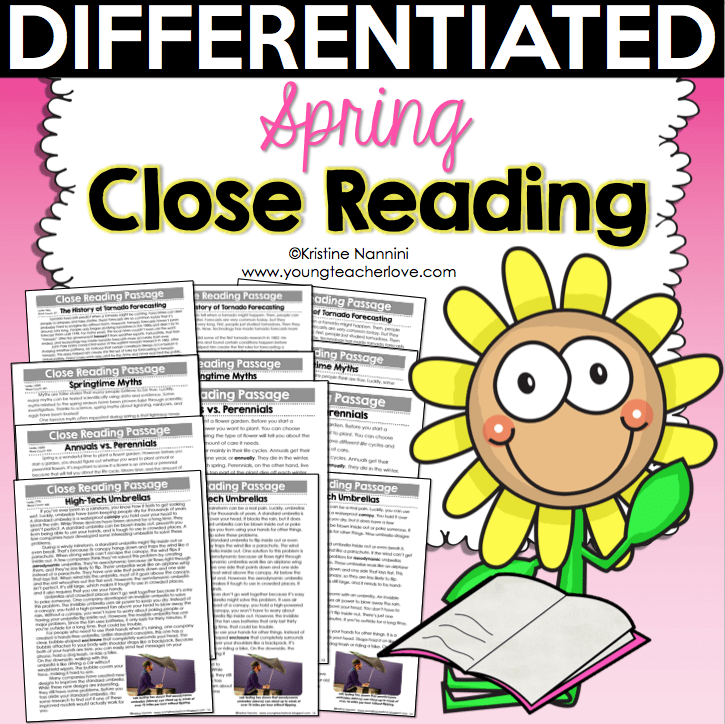 I’ve had to research the specifics of close reading and muddle my way through many different sources. 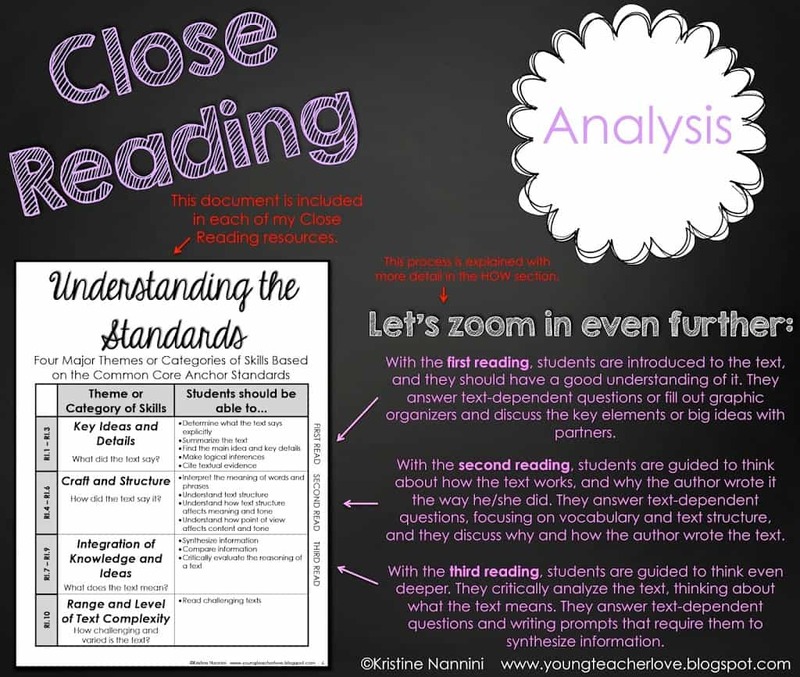 Your blog post is perfect for understanding what close reading is and how best to implement it. Marcy- I’m so glad to hear you found it helpful! Thanks so much for your kind comments! 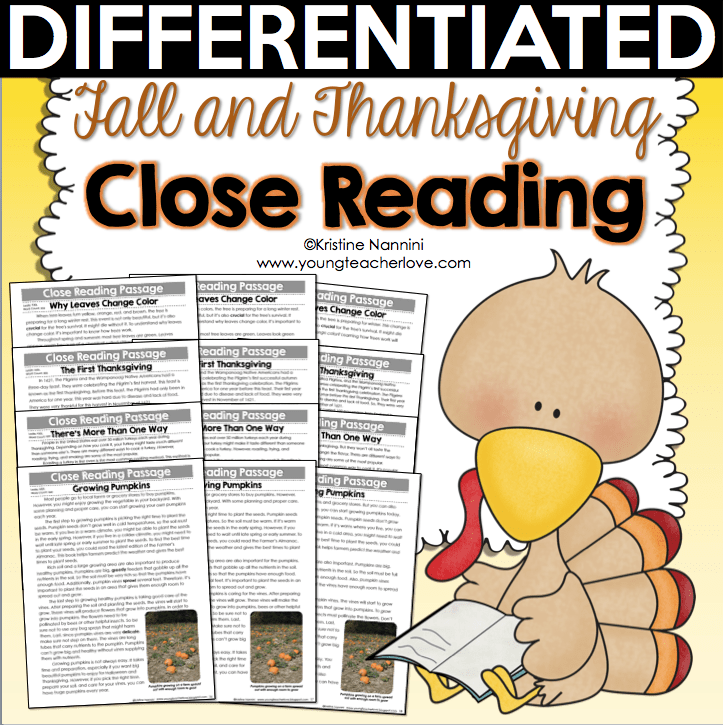 This blog post was shown at our staff meeting as we learned more about closed reading. 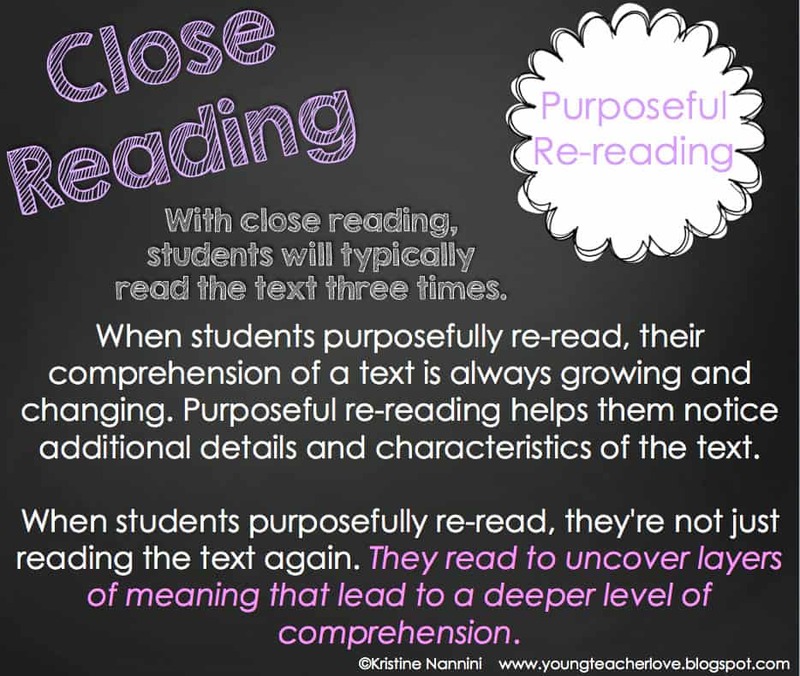 Staff members now have a clearer understanding of reading for a purpose and how we can guide students into a deeper understanding of the text. 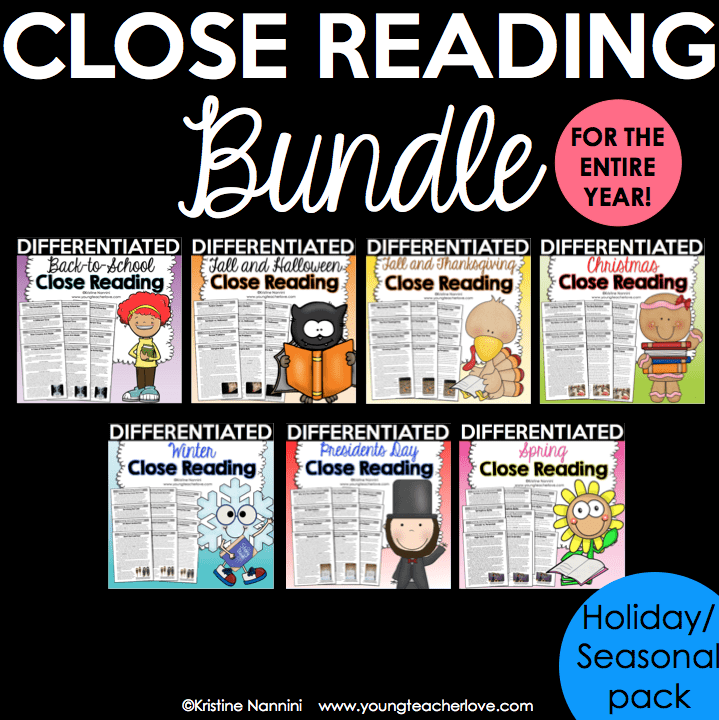 Do you have any close reading bundles for kindergarten teachers to use? 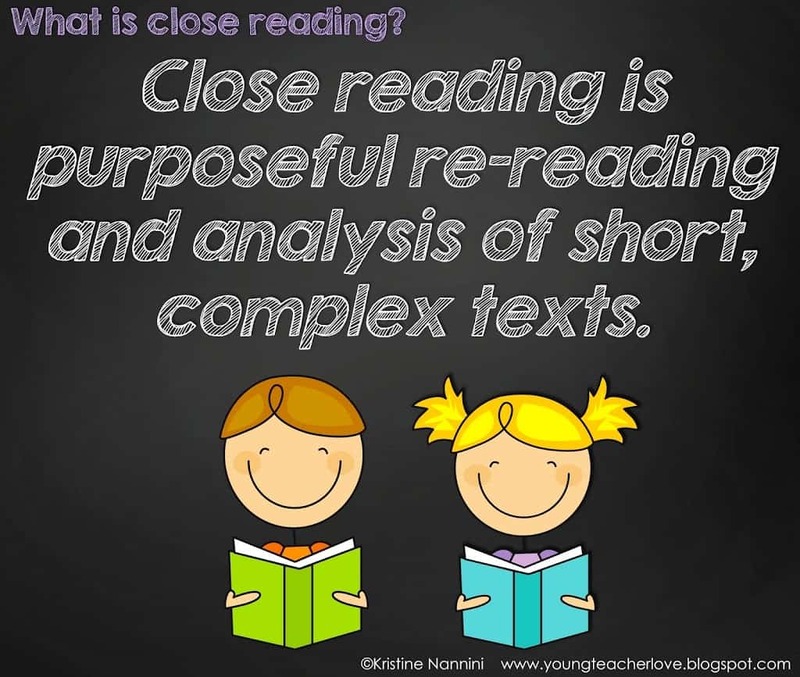 Since most of the books in kindergarten would be in the form of a read-a-loud and questioning to dig deeper into text would be done orally, how would you go about this successfully? Hi Gina- Thanks so much for your kind words! I’m so glad to hear it helped your staff! I don’t have any experience teaching kindergarten students, so I am unable to provide you with any information. Sorry! Is this info and the info from part 2 available in a PDF or PPT form? 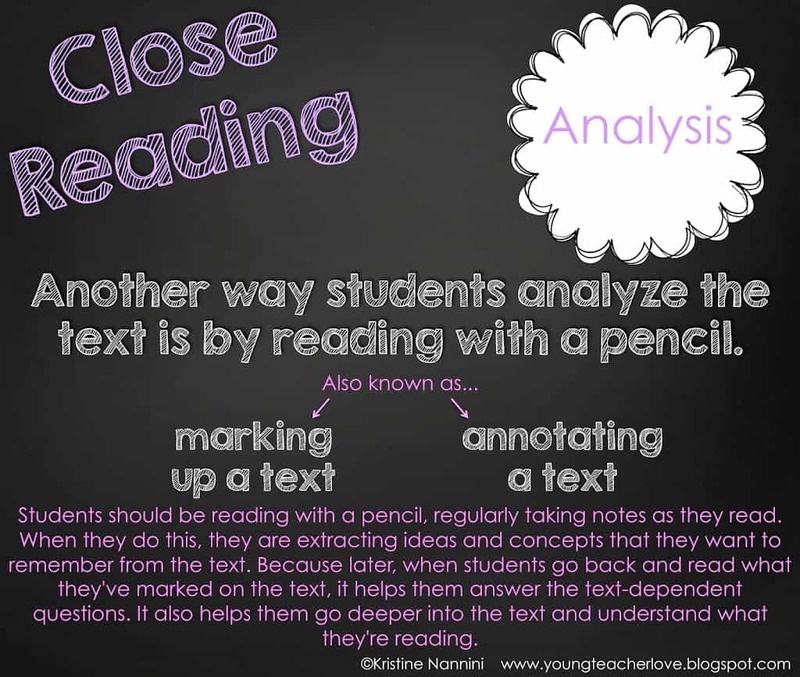 I would love to see these tweaked so they could be used in explicitly teaching my students what close reading is and why we do it. 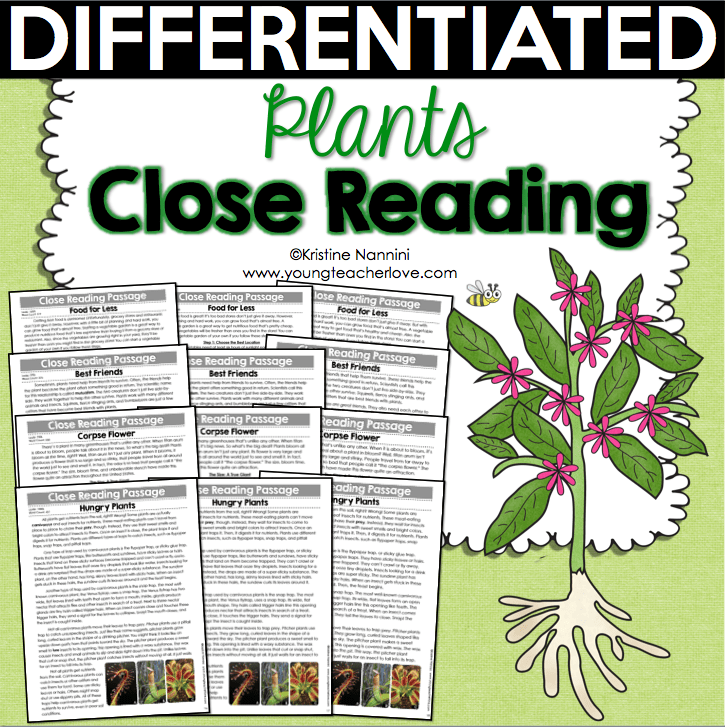 I have been attempting to implement close reading, but was unsure about a lot of things. This helped me so much! Thanks. Hi Cathy- Thanks so much! At this time, this information is only available on my blog. Thanks!